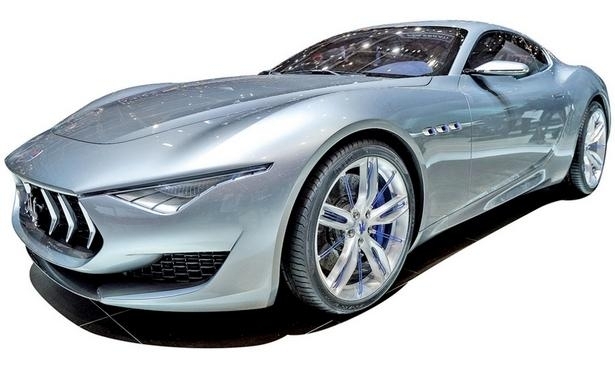 Maserati showed the Alfieri GT concept, which uses a shortened Gran Turismo chassis and the Gran Turismo's 4.7-liter V-8. 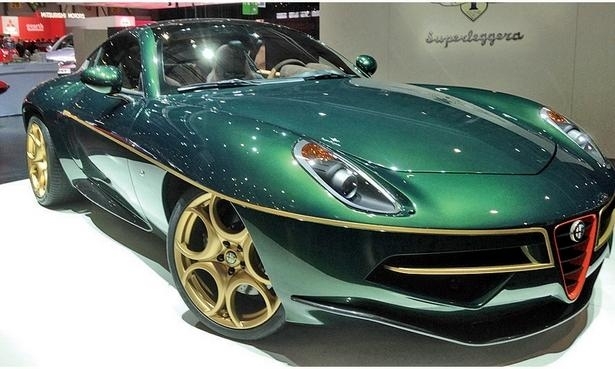 Coachbuilder Touring Superleggera, with Alfa Romeo's permission, created the Alfa Romeo Disco Volante based on Alfa's 8C Competizione coupe. Touring's hand-built models come alive in racing green and gold. 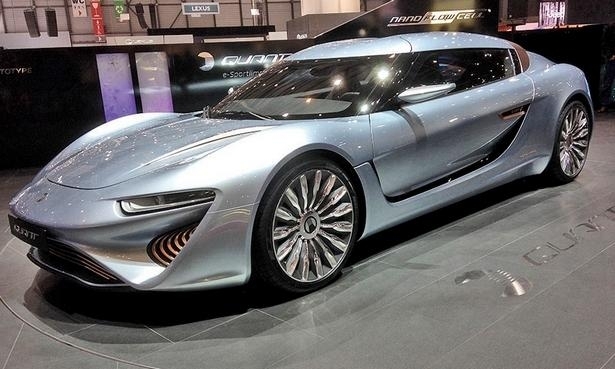 From Liechtenstein's startup manufacturer nanoFLOWCELL comes the sleekly designed gullwing Quant e-Sportlimousine, a fuel-cell prototype with carbon-fiber construction and wood interior trim. 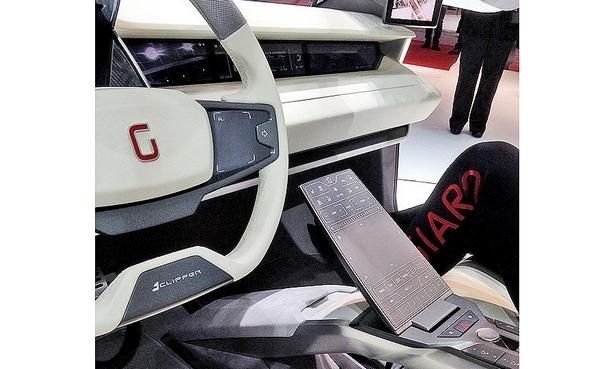 A wafer-thin collapsible touchpad control board keeps Italdesign Giugiaro's Clipper concept open and airy. The interior has camera display screens in the front corners in place of mirrors. 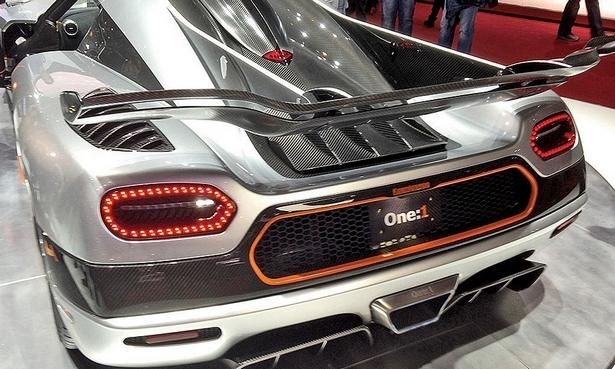 Sweden's Koenigsegg Automotive uses the term “megacar” to describe the One:1, a carbon-fiber roadster using a 5.0-liter V-8 to produce 1 megawatt of power — a claim translating to more than 1,300 hp. 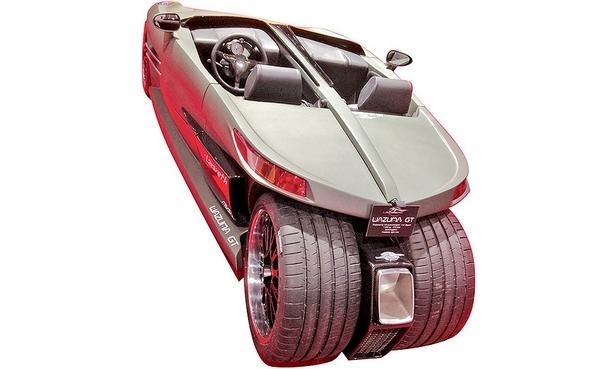 The Wazuma GT, from French performance tuner Lazareth Auto-Moto, is a cross between car and motorcycle, with four wheels laid out like a three-wheeler, and a Jaguar 4.0-liter V-8 under the long hood. 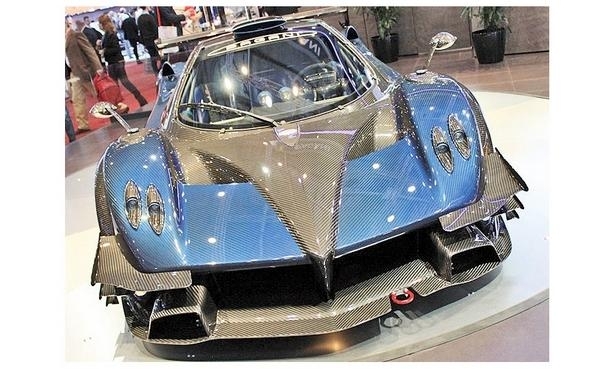 Pagani Automobili's 800-hp 6.0-liter V-12-powered Zonda Revolucion has an estimated sticker price of $3 million. The Bugatti Veyron 16.4 Grand Sport Vitesse Rembrandt is named not for the Dutch painter but for Rembrandt Bugatti, automotive pioneer Ettore Bugatti's younger brother who committed suicide in 1916. 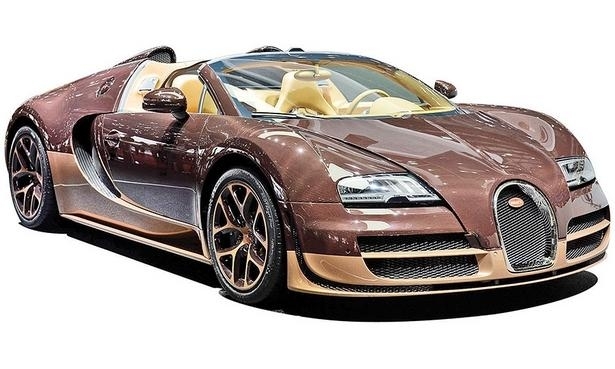 The car's body comes in bronze-colored, clear-coated carbon fiber. 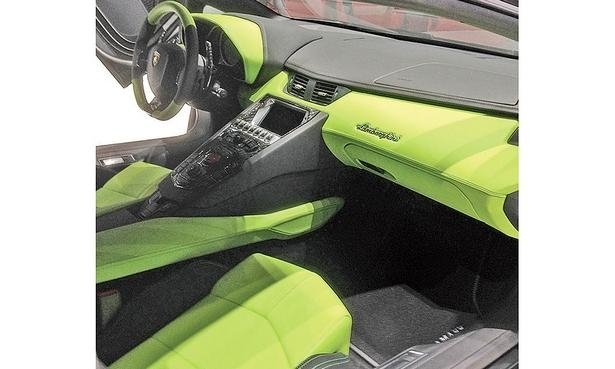 German tuning house Hamann Motorsport renders the Lamborghini Aventador roadster in matte gray body and poison green interior, with engine-control tweaks to boost the factory car's 700 hp another 10 percent. Texas ranchers, eat your heart out. 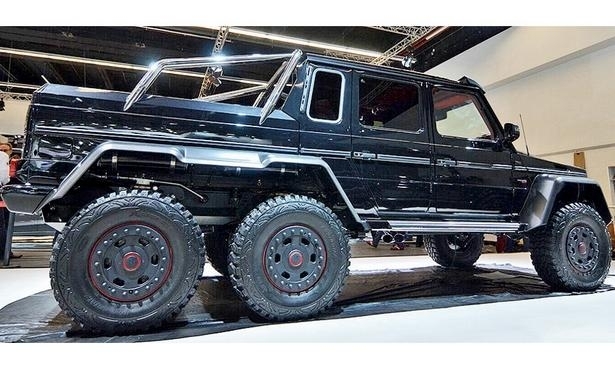 The Brabus 700 6X6 package is based on a Mercedes-Benz G63 AMG military vehicle, delivers 700 hp, has a refrigerator inside and lists for just less than $560,000, base. Every major auto show has a certain tilt. In New York, it's toward luxury. In Chicago, it's toward trucks. In Geneva, the lean is clearly toward the exotic. Exotic bodies, exotic tuning, exotic styling flair and flash. Safely independent from the home industries of France, Germany, Italy, Sweden, Japan, Korea and the United States, the Swiss auto show does as it pleases. The ultraluxurious and the obscure low-volume tuner brands stand side-by-side with Europe's global mass-market leaders. For every Renault and Ford of Europe, there is a Pagani and a Brabus. Geneva is where the sensible sedan, the edgy design and the affluent toy all meet on equal footing.